Investing in quartz countertops is definitely the way to go if you want to stay on trend! The hottest trend in countertops these days is using quartz. In fact, using quartz countertops comes with a ton of benefits that need to be discussed. Here are just some of the incredible benefits that come with using quartz countertops throughout your home or business. Quartz is a very cost-effective material that you can use in your kitchen or bathroom. With a limited budget on home renovations, choosing quartz as a material can be a great cost-saving decision. 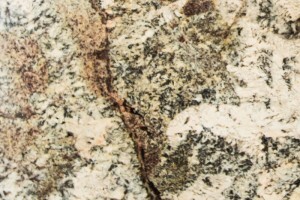 In fact, quartz is significantly less expensive than the other stones available on the market such as granite. As a result, opting for quartz provides you with a quality material at a fraction of the cost of other materials. If you are looking for a great looking material to use on your countertops look no further than quartz. In fact, quartz is known to be manufactured in a way that allows you to have a slab of material that is exactly as you like it. As a result, you get a beautiful quartz countertop that you can enjoy for years to come. Looking for a material that can withstand a lot of weight? Quartz is a perfect choice. In fact, quartz countertops are typically combined with resin that creates an extremely hard stone capable of withstanding a lot of weight and wear and tear. Quartz countertops are strong and durable leaving you with a surface that you don’t have to worry about. Quartz is very easy to clean and extremely low-maintenance. In fact, all you need is a little soap and water to get rid of any dirt or residue that may accumulate on your quartz countertop. This entry was posted on Thursday, April 27th, 2017 at 10:47 am. Both comments and pings are currently closed.